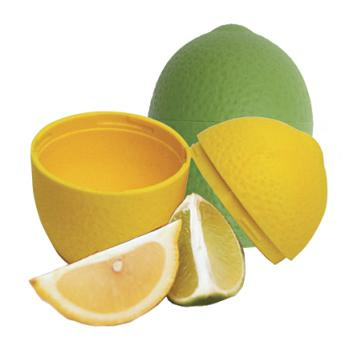 The Lemon Lime Saver keeps cut lemons and limes fresh and fragrant. The bright fun color makes it easy to find in a crowded fridge. The two pieces twist together to lock closed. Made of polypropylene plastic, these are phthalate and BPA-free. Top rack Dishwasher safe.